Home » Our Blog » What are the Federal Sentencing Guidelines and how do they work? The Federal Sentencing Guidelines are guidelines that judges consider when determining an appropriate sentence for someone who has been convicted of a federal crime. The Guidelines use a combination of the severity of the crime and a person’s criminal history to calculate a suggested sentencing range. In the past, federal judges were usually required to sentence a person somewhere within the range calculated by the Guidelines. Fortunately, over a decade ago, the Supreme Court held that the Guidelines are no longer mandatory. A federal judge now has the discretion to go below or above the guidelines if the judge thinks the guidelines are not reasonable in a particular case. Our firm has helped hundreds of clients obtain the lowest possible sentence in federal court. Although we are usually able to obtain the best results when we are involved in a case from the beginning, we have been able to step into a case after trial or a plea to help someone get a sentence that is significantly lower than the guideline range, and much better than their first lawyer told them to expect. We will work with the U.S. Probation Office to make sure the advisory sentencing guidelines are calculated in a way that benefits our client. We will then prepare for the sentencing hearing by finding witnesses and other evidence to support a departure or variance from the guideline range so that our client can receive the lowest possible sentence. At the sentencing hearing, we spend a lot of time educating the judge about our client’s background, family, work history and community involvement to show the judge that our client deserves a sentence that is below the Guideline range. We have obtained probation for many of our clients in federal court, and have convinced judges to impose other alternatives to prison in the right case. We know that the Guidelines are incredibly important, but they are only the starting point to a fair and reasonable sentence. In the video above, Page Pate helps explain the Federal Sentencing Guidelines and how they might apply to a particular case. He also shows how we help our clients get a sentence that is substantially lower than the advisory guideline range in many cases. I’ve been representing people in federal court for over 23 years now. And a big part of my job is to help people get the lowest possible sentence if they’ve been convicted or decide to enter a guilty plea. Now, in order to do that, I have to have a very good understanding of the Federal Sentencing Guidelines. So I’d like to discuss a little bit about those guidelines and how they may apply to a particular case. Let’s start with the basics. I mean, what are the Federal Sentencing Guidelines? The guidelines were put into place by Congress about 30 years ago, as an attempt to establish uniformity and consistency in sentencing, in federal courts across the country. The problem, if it was a problem, is that you would have a judge in one court maybe across in the state of Washington, sentence someone for the same type of crime, same type of background, to a much different sentence than someone say, in a federal court in Atlanta. So Congress came up with these guidelines, put them all together, and instructed federal judges to calculate these guidelines, and then to apply them in every federal criminal case. Now when they were first enacted, they were mandatory. So once the judge calculated the guidelines, that was the sentence in almost every case that the person was going to receive. But about 10 years ago, the Supreme Court said, you can’t do that. You cannot have mandatory guidelines because these are facts that are not found by juries. So now these guidelines are advisory. The court has to calculate the guidelines, but can sentence someone to more time than the guidelines suggest and less time, all depending upon the unique facts of the case. Now, you can find the Federal Sentencing Guidelines online, if you go to the United States Sentencing Commission’s website or you can find them in a sentencing manual – a book like this. And the book is divided into chapters. You have a chapter for offense conduct, which is an attempt to set forth an offense level for every type of federal crime. Then you have a chapter dealing with enhancements for particular types of victims, particular types of defendants. Then you have a section where you calculate the criminal history, and then ultimately, determine the sentence. And what you’re trying to do with the guidelines is to get to a range, a sentencing range in months, which usually determines the amount of time someone’s going to have to spend in custody. So let’s drill down a little bit and talk about how to apply the Federal Sentencing Guidelines to a particular case. Now the first step is to determine the offense level, and that means, you’ve got to go to the book or go to the online site and find the particular crime that the person’s been convicted of, and see what guideline section corresponds to it. And there’s a different section for most different federal crimes. If it’s a drug crime, you’re going to go to 2D 1.1. And that’s basically just a number that corresponds to a particular chapter in the guidelines book. If it’s a fraud case, you’re going to 2B 1.1. All of these are Chapter Two guidelines sections that give you a starting point for how you’re going to determine the base offense level. And now the base offense level is just a number. Let’s say in a fraud case, you’re usually going to start with a base offense level of seven, and then you take that base offense level and you add or subtract to it, depending upon what else is in that guideline section. Let’s say it’s a drug case, and you have a certain quantity of drugs that will increase the base offense level, depending upon how many drugs were involved in the case. If it’s a fraud case, sometimes you’re going to increase the offense level not just because of the amount of money involved, and that’s certainly a big factor, but also specific offense characteristics about the particular crime. Let’s say if the money was stolen from a government agency, you’re going to add points. And in the drug context, let’s say there was a firearm that may have been involved, you’re going to add points there. So you calculate the base offense level, you add or subtract whatever points may be set forth in that guideline section to determine the total offense level, and that’s the starting point. The next thing that you need to do is consider any specific enhancements or adjustments to that base offense level or total offense level, and to do that, you’ve got to go to a different chapter. You go to Chapter Three of the guidelines. And a good example of a specific adjustment would be acceptance of responsibility. In almost every case where the person decides to enter a guilty plea, they’re going to get credit for that as a reduction from their total offense level, usually three points. There are other adjustments in chapter three. Somebody who plays a bigger role in the offense than other defendants, they can get an enhancement for a leadership role, and the same is true if they play a very minor role, they can get a reduction for a minor role in the offense. If the person who is the defendant had a particular position of trust or authority, they may get an enhancement in their sentence for that. So these specific adjustments usually apply to the nature of the offense and the victim who may be involved in the case. After you do that, you’ve got your total offense level, you’ve considered any adjustments, then you move to calculating the criminal history, and that’s in Chapter Four of the guidelines. You’re going to add points based upon any prior convictions. Obviously, a felony counts more than a misdemeanor, and some cases, some convictions won’t count at all depending upon how old they are. But you’ll have to calculate that out and you’ll come up ultimately with a number which will correspond to a particular criminal history category. Once you’ve done all this work, the ultimate goal is to then find the guideline range, and you will then go to Chapter Five and look at a table, which will tell you exactly what that guideline sentencing range is. This is what the sentencing table looks like. It’s basically a chart. On the far-left side of the chart would be the offense level and you see it goes down vertically starting at number 1, all the way down to offense level 43. And basically the higher you get in the offense level, the more serious the crime is. Look back at the top of the table again and you see it goes across for criminal history categories. Category I, all the way to VI. And obviously, the criminal history category is based on the number of points that you calculated for prior convictions. If someone has zero prior convictions, no criminal history at all, they’re going to be in category one. If they have many criminal convictions and they’re recent, they could be as high as category six. Now let’s work through the sentencing table using a specific example. Let’s say the case involves money, let’s say it’s a fraud case. You’ll find a specific guideline section that will give you an offense level for fraud in 2B 1.1. You’ll then go to that particular section and you’ll find a base offense level. And in most cases, it’s going to be seven. In addition to the base offense level, you have to consider whether there are any specific offense characteristics that may add to the number seven, that may make the offense level higher. And in a fraud case, in any case involving the loss of money, the more money that’s involved, the higher the offense level is. Let’s say in this case the loss amount was $1 million, in that situation, you’re going to add 14 points to the base offense level of 7, to come up with a total offense level of 21. Now that you have your total offense level, you’re going to consider any Chapter Three adjustments. Remember, is this a particularly vulnerable victim? Are you playing a major role in the case or a minor role in the case? Was there a breach of trust involved? And, in most cases, if there’s a plea, you’re going to consider whether there is acceptance of responsibility. So let’s say we don’t have any particular victim enhancements or defendant specific enhancements or role enhancements, but we do have three points for acceptance. You will then subtract three points from 21, and go to offense level 18. Now that is your total adjusted offense level for this particular case. Now to find the guideline sentencing range, you have to then calculate the criminal history category, based on the number of prior convictions. Let’s assume this particular defendant has no convictions at all, so zero criminal history points. That means the person is going to be in category one. So you come down in category one, all the way down to your total offense level of 18, you look over just a little bit to the right, and you will see an advisory sentencing guideline range of 27 to 33, and that’s in months in custody. Now remember, I said that the guidelines are now advisory and not mandatory. So you don’t want to stop with calculating the guidelines. A good lawyer is going to try to do everything possible to get the client sentenced below that advisory guideline range, and there are many ways to do that. The first and the most common in federal court, is that the defendant has provided substantial assistance to the government. That means cooperating. So, if you’re involved in a case and early on decide that you want to enter a guilty plea, it may be helpful if you want to minimize your sentence, to try to work with the government. Talk to them about your involvement in the case, offer to give them information about other people. You’ll notice that it does require substantial assistance. You don’t get credit for just saying, “Hey, I know about somebody and I’m willing to talk about him.” Your information has to help the government actually do something. Further their investigation in your particular case, to include other individuals, maybe you have information about another criminal case that the government can look into. Whatever the case, it must help the government, and substantial assistance is ultimately up to them. So, you can look at other things besides the guidelines, and what we like to do at a sentencing hearing is bring our client alive. You know, let the judge see that there’s more about this person than just the crime that they’ve been charged with committing. We like to bring in witnesses, sometimes character letters are helpful, sometimes we want to have a video of people talking about the defendant, how they’ve known this person, how this person has benefited the community. There’s a lot of good stuff usually to say about our clients and we want to make sure that the court hears that before the judge imposes a sentence. Because that’s the type of information that can help you get below that advisory guideline range. So that’s basically how the Federal Sentencing Guidelines work and how you can try to get a sentence below those guidelines in the right case. 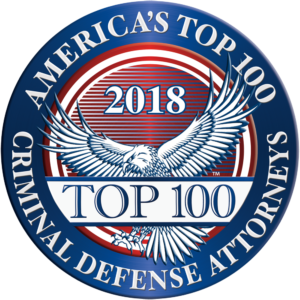 If you or someone you know is facing a federal criminal charge and have any questions at all about this process, feel free to give me a call and I’ll do my best to help.